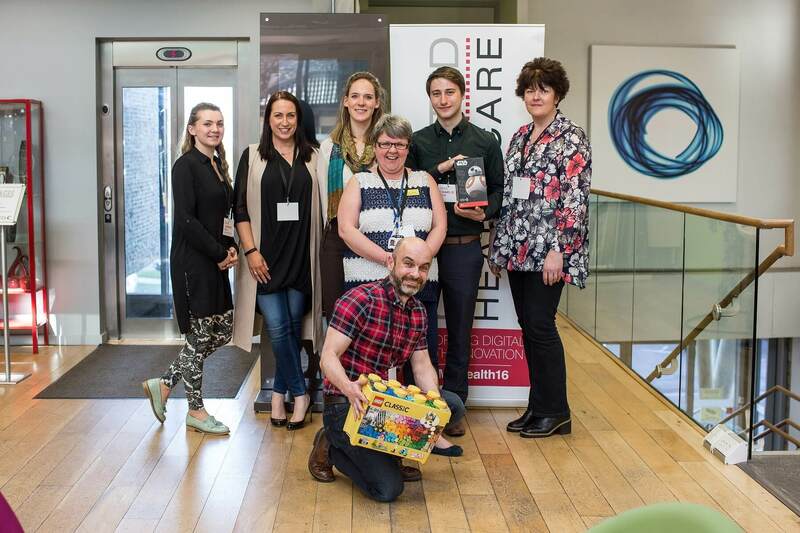 Digital technology prototypes designed to improve care for people with multiple sclerosis and people with learning disabilities were celebrated at a recent Yorkshire and Humber challenge. The Digital Health Design Challenge, which took place at the Digital Media Centre (DMC) in Barnsley, brought together technology innovators, healthcare professionals and patients to co-create new products for the NHS and wider healthcare sector. The teams tackled a wide selection of patient care challenges identified by local NHS trusts over two ‘hackathon’ days and the whole event aimed to encourage greater collaboration and partnership working to support digital health innovation in the NHS. The challenge was organised through the Connected Healthcare programme which has been initiated and organised by the DMC, through Barnsley Council’s Enterprising Barnsley business support programme, in partnership with sponsors Yorkshire & Humber Academic Health Science Network (AHSN) and Tech North. Winners received prizes designed to help them carry forward their ideas. Digital design agency HMA worked with frontline staff from Barnsley Hospital NHS Foundation Trust to devise a new app which could help people with learning disabilities communicate their sometimes complex needs to improve their experience of treatment and care. Their innovation won them a combined business support package from Yorkshire & Humber AHSN and Enterprising Barnsley, to help boost their product development plans. Gospelware, working with a team from the multiple sclerosis charity Shift.ms and a consultant neurologist and specialist nurse from Sheffield Teaching Hospitals NHS Foundation Trust, created an app to help people with MS to monitor and manage fatigue issues. Their proposal won them a £5,000 Innovation Voucher from the Centre for Assistive Technology and Connected Healthcare (CATCH), at the University of Sheffield who judged it the most promising idea linked to their research themes. Their investment, which must be match-funded, comes with support from CATCH to accelerate the idea and get the innovation a step closer to market. Enterprising Barnsley’s DMC project director Tracey Johnson said: “We are really pleased with the way creative businesses, healthcare professionals and academics have come to the DMC and embraced the Design Challenge. The Design Challenge judging panel included Steve Wragg, chair of Barnsley Hospital NHS Foundation Trust; Richard Stubbs, commercial director, Yorkshire & Humber AHSN; Tania Hide, Head of Economic Development, University of Sheffield; Rob Lewis, Head of Health Transformation, R&D Innovation, Reckitt Benckiser; Dr Peter Cudd, President of the Association for the Advancement of Assistive Technology in Europe; and Phil Coffin, Head of Creative Strategy, Appitized Health. Richard Stubbs, commercial director, Yorkshire & Humber AHSN, said: “The adoption of health innovation and increased use of technology is vital if the NHS is to create services fit for the future. A Connected Healthcare ‘Access to Finance’ event with speakers from funding bodies and business support organisations will be held at the DMC on June 10th. It will consider sources of funding which may be available to develop healthcare solutions and is open to all designers and creative and digital agencies ‘whether or not they have participated in the Design Challenge. Attached photographs show presentation at the Yorkshire and Humber Digital Health Challenge at Barnsley Digital Media Centre. More photographs available on request.